Thanks for the feedback. 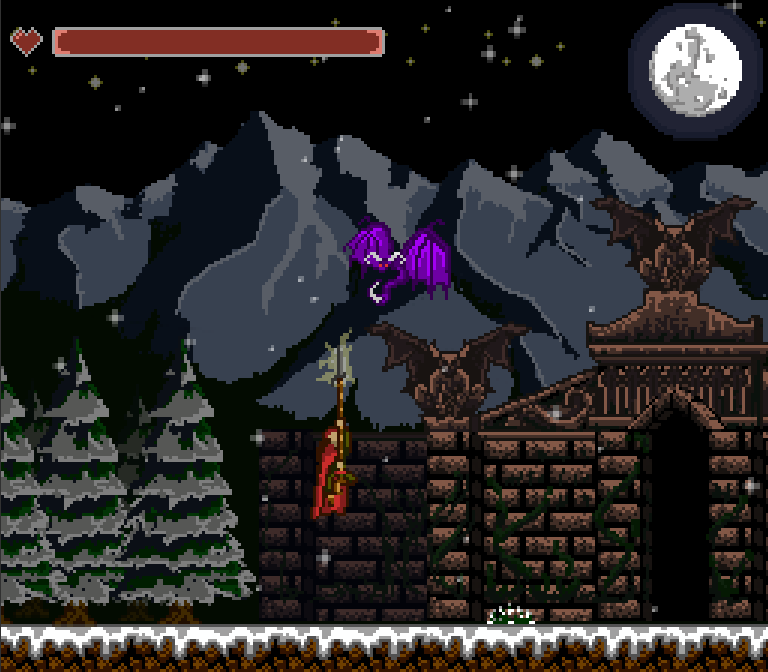 I agree that the hero and (some) of the enemies are really easy to spot in the crypt vs the other two areas. 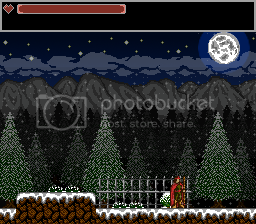 I like the populated backgrounds of the outdoor areas, but you're right, it's much easier to see the characters in the parts of the level where I leave out the trees and the red hero is on top of a mostly black background. Luckily, we are still really early into the project, and we have the time to make these improvements. First of all, thanks to everyone here that's provided me with feedback so far. My previous part time project is now my full time project, and this community definitely helped me get to this milestone. Here is a short teaser for the game I've been working on, Wallachian Night. I did not intend to release a video just yet, but I wanted to have something to show in time for a small indie game showcase on Reddit. I will continue to work on the trailer, but for now, this is what I have. Any feedback would be appreciated. They guy in the blue sweater looks like hes shrugging. Is that intentional? So I forgot to update this thread, I actually updated the attack animation but forgot to post it here. Thanks for the feedback, I think it looks much better. There is a problem with this animation in terms of the game mechanics. The animation is much more convincing than before. The character looks much more aggressive and dangerous, plus there is no longer the illusion of a sweeping attack. However, the character steps forward quite a bit, which means I now have to account for the collision box every time he attacks. 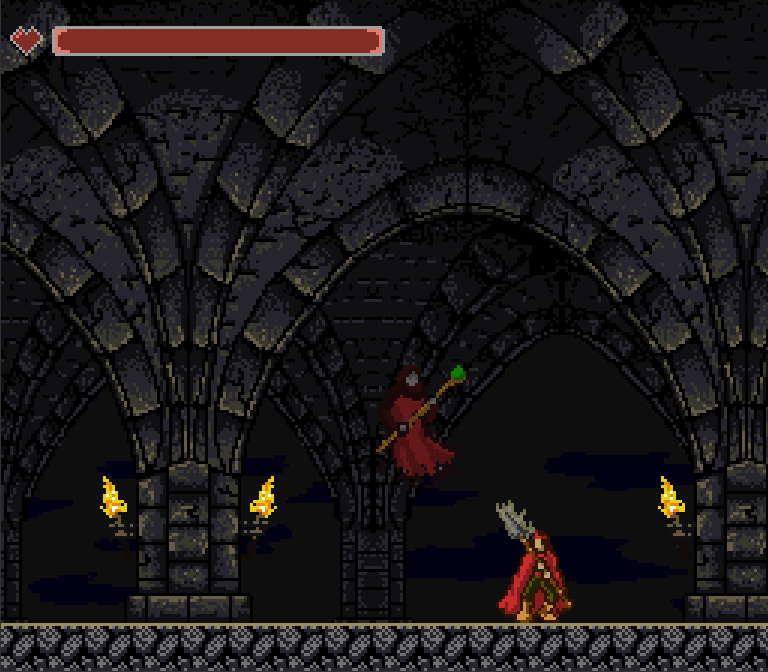 In the previous animation, the position of the collision box remained the same in the idle, walk and attack animations. 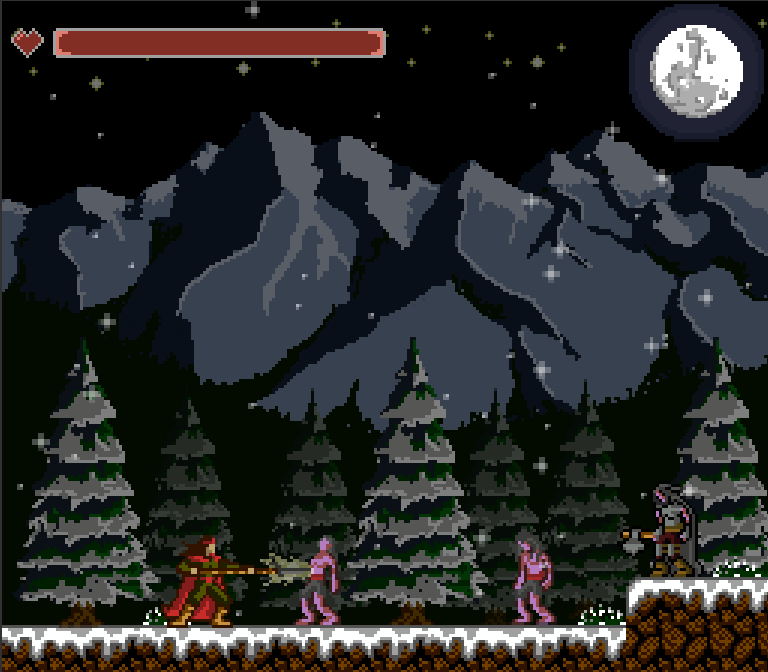 Now, the collision box has to be re positioned since the character steps forward with his attack. This can cause issues when you attack near a wall, as your character will jerk to a new position. Additionally, players might accidentally bump into the enemy when they try to attack them up close, since the character now steps forward. I think I'll try to find a middle ground where the character doesn't step forward but still maintains that aggressive look. And on an unrelated note: Zombie. Still need to animate it. I'll probably make another variation or two of this same zombie. I'll start with one that leans backward instead of forward. Pixel Art / Re: Wallachian Night. Okay, that makes sense. I'll rework some of these details. Others have also pointed out the shape and shading of the mountains. I'll start there. What about how busy the scene is? I'm guessing I could remove the trees closest to the foreground and only leave the silhouettes of the trees in the background. Any other suggestions to make the scene look less busy? 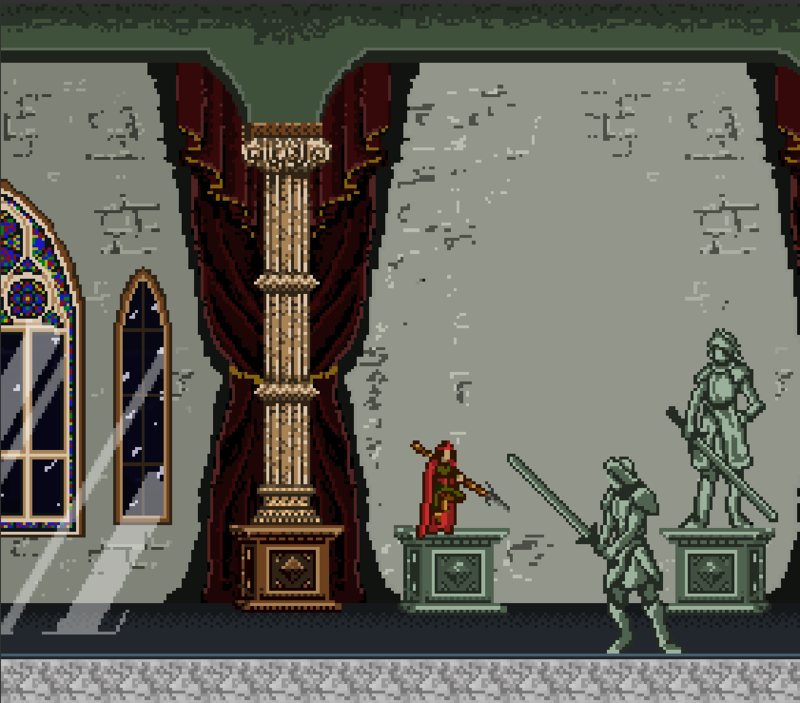 Pixel Art / Wallachian Night. I'm working on one of the outdoor settings for my game, a snowy Wallachian countryside. I'm personally happy with it myself, but you guys are good at pointing things out that I wouldn't notice otherwise. Ignoring the top UI box (intentionally left incomplete), what do you guys think of the environment? Thanks, I'll keep that in mind. I was thinking of redoing the attack animation for other reasons as well. For example, when I tried the animation in-game, the way the lance travels in a 45 degree arc looks like the hero is making a sweeping attack (like in Link to the Past) instead of a completely straight horizontal attack. When I start the process of updating the animation, I'll try to make him appear more cautious/defensive as well. I know Max's swords were really short in the original Shining Force, but maybe you can pose Evil Max to allow him to have a large sword instead of that tiny one. I remember Oddeye from Shining Force 2 held his sword a certain way so that it retains its length but doesn't increase the width dimensions of the sprite by too much.